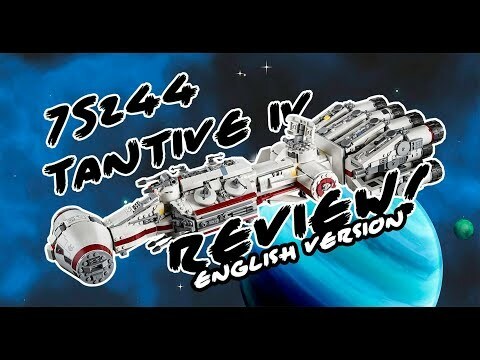 What do you think of my 75244 Tantive IV review? we're trying to grow our youtube channel and branch out and I though you might like to see this review. our studio is sort of half improvized, and this is my first attempt at an english review. i really hope you like it! So, you want us to review your review? 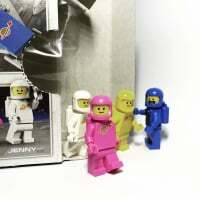 I'm sure @SumoLego will review my review of your review. I can also review where you did the review. That's more interesting to me. I think your script could use a little work, especially at the beginning. Give an individual rating on the set, each figure, and then an overall rating. Your photo and video quality are outstanding though, really nice work there. I think @samiam391's review could use better spacing and perhaps better flesh out his format suggestions for the video. Very succinct on the praise, so as not to lose the reader's attention. Overall - 3.5 out of 4 stars. Excellent review. Thanks for your kind words and the feedback! I'll think about the rating thing, usually I don't like to give grades but I guess I can try and see if I'm capable of an objective rating. If I may press further, could you tell me what you thought needed more work about the script in the beginning? Was is not enough context or something like that? Did it just sound kind of off? at the end I will give my review of this entire discussion. you may review it afterwards. I thought it was a great review. I'm sure Jang's will be 20+ mins for this so it was nice to get it distilled down to 5 mins or so. Only comment I'd have is where you mention what other set Leia was in. Theres not many people who have all the 5-digit codes memorized, so it would have been helpful to say what the set was as well. Obviously that isn't a big deal though. For me, the biggest flaw of the set is those stickers at the front, especially as the prior one was printed so that might have been worth a mention. Obviously it's easy to sit back and pick at very minor points on what must have been a lot of hard work bu you. You pretty much knocked it out he park as far as I'm concerned. Now, I promised a review of this thread (I take not being serious very seriously): It started off lighthearted and humorous, which works well to capture the audience's attention and get us to relate to the people posting in it. Well done. It may have even tried to play a subversive game, getting you to feel bad for the person who started the discussion because they got laughed at. But that soon proved to be just a narrative tool, a way to draw you in even more so that when the twist is revealed it is much more impactful: the breakthrough moment when people came together and did something great for each other through their opinions and advice. It was heartwarming and everyone learned something. I hope they make a sequel!